The above average rainfall this year is such a relief. Trees, shrubs and garden plants seem to have fully recovered from last year’s drought and then some. Along with this healthy lushness, come pesky weeds in full force. 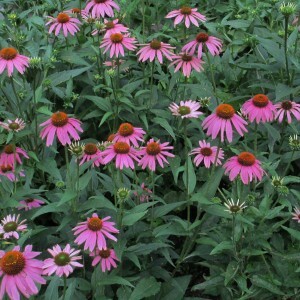 They seem bigger and stronger than ever, smothering garden plants, crowding them out, competing for light and nutrients. Your garden which was a source of beauty last week may have turned into a weed patch overnight. We can restore it. Our team of weeding experts can have your garden looking fresh and tidy in no time. Equipped with the right weeding tools and know how, we identify weeds, know their growth habits and remove them. We can add a mulch layer to keep weeds under control. Your beautiful garden will re-emerge. 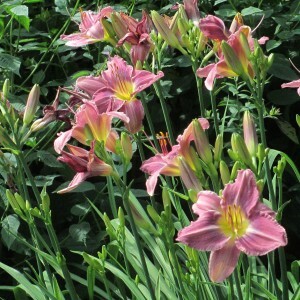 Many new varieties are available, bold colored to pastel, miniature to large flowered. flowers are great for cutting or pressing and provide nectar for early season butterflies. Call us today. 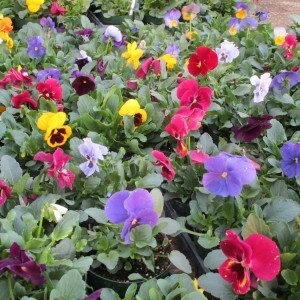 We would be happy to add beautiful pansies to your garden or entryway. Early spring is a great time to have your overgrown shrubs reshaped. It is easy to see a plant’s branching structure and visualize its potential. The best candidates for this Spring task are shrubs which will flower in the Summer months, like rose, some hydrangea and spirea. Flower buds will develop on the new branches and normal flowering will occur. For shrubs flowering in the Spring like lilac and viburnum, it is best to wait to prune them until Summer, so that flower buds for next Spring have time to form. If a more severe pruning is needed and flowering can be waived until next year, now is a great time to prune any shrub. 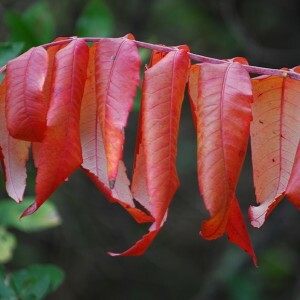 Having this job done now, before the surge of new leaf growth comes, means your shrubs will not have to waste energy forming new growth which would be removed with Summer pruning. We would be happy to take a look at your shrubs to see what is needed.